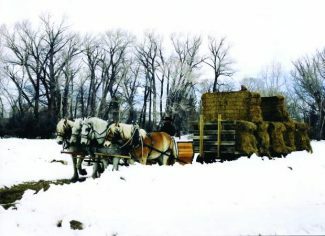 On a cold winter morning, Cody Miller adjusts the harness on a team of Belgians hitched to a hay wagon on the Silver Spur Ranch headquarters in Encampment, WY. 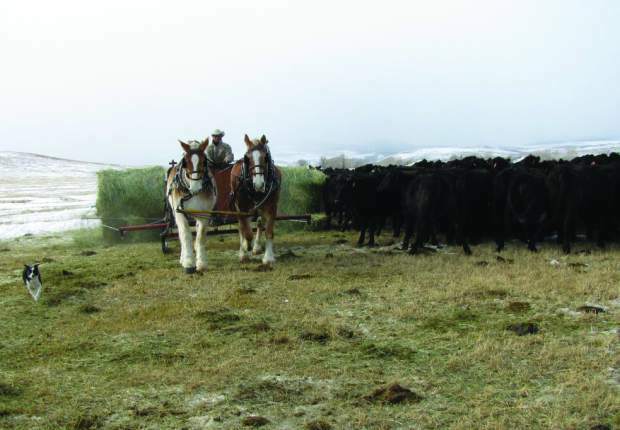 Other than the noise from the blowing snow, cattle and chains on the harness, there is not a sound to be heard. Cody has been working a team of draft horses on the Silver Spur for the last eight years and enjoys the peace and relaxation of driving the team to feed cattle. Some might prefer the comfort of a heated tractor cab, but Miller says, "I love horses, so whether it is cold or not, driving the team is fun and relaxing." 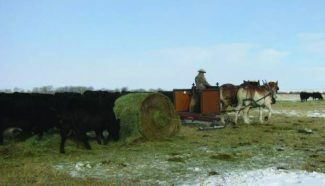 Nearly 500 miles northeast of Encampment, Casey Humble drives his Percheron Quarter Horse cross team to feed cattle on his ranch outside Faith, SD. 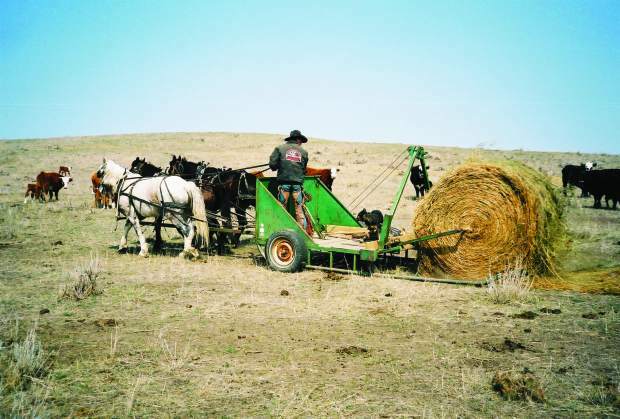 Casey has been using a team to feed cattle and fix fence on his ranch for the last six years. 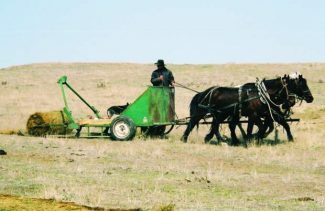 When he gets up in the morning to hitch up his team, he doesn't have to listen to the sound of an engine or worry about the cost of fuel used to run his tractor. 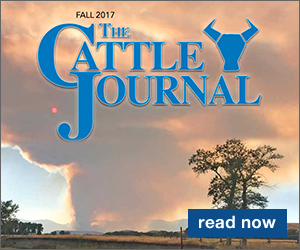 Both Cody and Casey admit that using a team on the ranch saves money due to the high cost of fuel; but neither claim this as their only reason for driving a team and admit that using a team on the ranch is not practical in all situations. 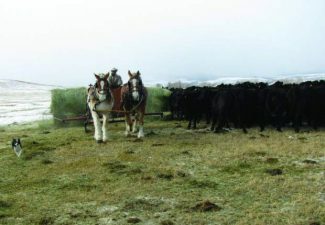 Both Miller and Humble had been introduced to draft horse teams before deciding to operate a team on their own. Miller grew up around working teams of Belgians and still prefers this breed due to their gentle nature. 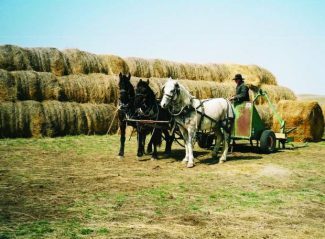 Belgians continue to be a popular draft horse breed, along with Percherons and Clydesdales; however, draft crosses sometimes come with a lower price tag and tend to eat less, making them more and more popular. Although a larger horse means more feed, draft horses tend to be relatively low maintenance. Due to their line of work, regular hoof maintenance is the main upkeep for working team horses. Finding the right team to suit your needs can be a challenge, and both Miller and Humble recommend that newcomers find a well-used team. Combining an inexperienced driver with an inexperienced team can prove to be a dangerous situation. 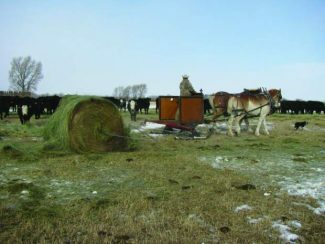 Young or green horses may spook or pull unevenly and new-to-the-trade teamsters may be in a hurry or hitch their team incorrectly. "The main thing is to make sure you buy a team that fits your experience," says Miller. Finding a matched team may prove to be even more difficult. Length of stride on every horse is different, but the closer the stride, the easier a team will work together. Younger horses often tend to be a little pushy in the harness, which will affect the direction and speed of your team. 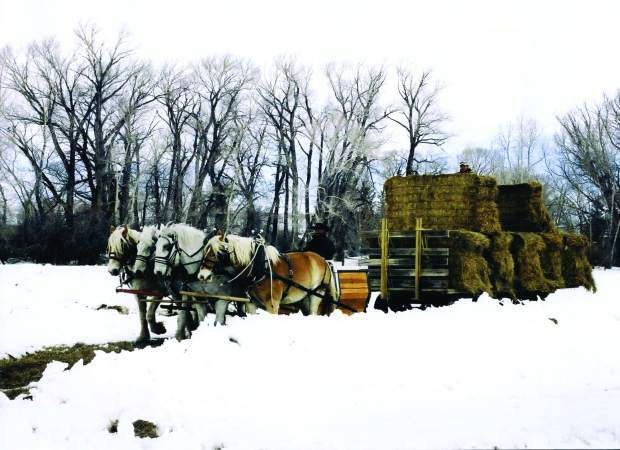 Humble suggests moving the chain on the evener (crossbeam attached behind the single tree of each horse) back so that when the young horse gets ahead of the other, that horse is pulling more of the load and will learn to pace himself. Starting a horse to drive is not unlike starting a horse to ride, Humble said. It is important to start early by working with young horses to ensure they are gentle. Laying a good foundation with solid ground work will prepare the horse for driving much like it will prepare the horse for riding. This type of preparation will set boundaries, establish trust, and build the horse's confidence, which is essential for any discipline. Breaking a horse to drive is the next step and may come naturally to some horses, but it is important to break any horse in slowly to this new task. Experienced team drivers may have their own preferences when it comes to how their horses respond and pull and these preferences should be reinforced by the driver. "I don't want my horses to pull on me," Humble says, "Some old teamsters like their team to really pull on the line [rein], but I like my horses to pull evenly on a slack line." Because of this preference, Humble does not train his horses to pull against rein pressure, but rather to stop on pressure, making his team horses more versatile as riding horses as well. Another preference for some team drivers is the use of blinders. Blinders are used on horses to keep them focused on what is in front of them and have been traditionally used on race horses and driving horses to minimize distractions and keep horses from spooking. Blinders are a common accessory on harness bridles, but not all drivers choose to use them. Some team drivers have found that their horses spook less often when blinders are removed. Many feel this is because the horses can see around them and are not as surprised by noises behind them or objects moving towards the front of them. As any horse owner will tell you, keeping horses is not always easy. Horses require time, energy, money and a lot of hard work to maintain, and keeping a team is no different. 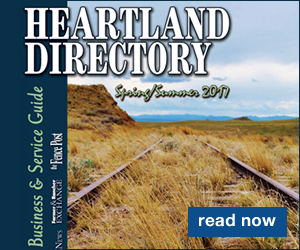 Driving teams has become a competitive event for some, while others maintain the traditional lifestyle of working teams for agricultural purposes. In either case, team drivers are maintaining a tradition that, for many, reminds us of a simpler time. "Saving fuel is the main reason [for driving a team], but it's relaxing for me. You don't listen to a motor running … it's quiet and peaceful," said Miller. Humble offers a bit of life advice from Mark Twain, "Make your vacation your vocation," and then added, "It's a way of life – the greatest way of life I know. I get up every morning because I want to."